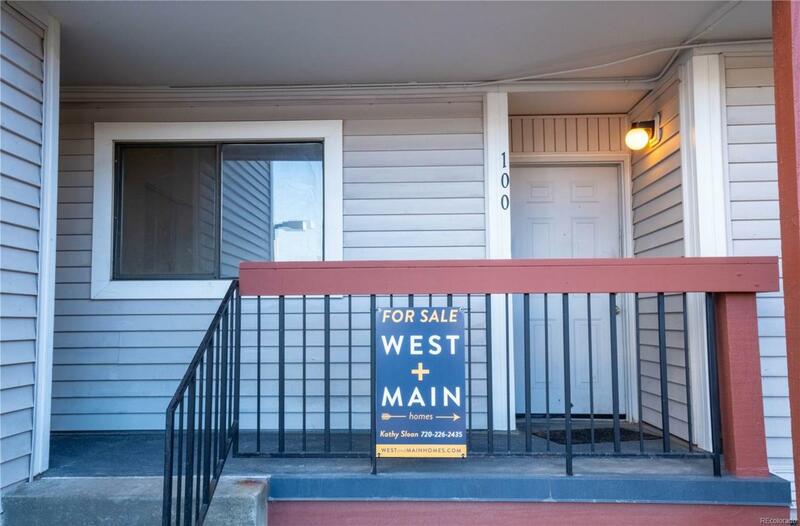 Dont miss out on this affordable, ground level 2 bed/1 bath condo in a quiet Westminster neighborhood. A little TLC will make this a wonderful starter home or investor opportunity; the price is adjusted accordingly. *** The spacious kitchen features a window and a breakfast bar. *** Step out on the recently renovated deck and enjoy a beverage while you appreciate the privacy of the greenway. The gated deck makes a perfect outside retreat for playing in the large, fenced yard. *** Stay in on chilly nights and keep warm in front of the cozy, wood fireplace. *** Walk-in closet and large wall closets throughout the unit provide space for your wardrobe, seasonal items, and everything else. *** Oversized master bedroom boasts tons of closet space, view of the greenway, and easy access to laundry & bathroom *** Centrally located with easy access to I-25 & US-36. A commute to Denver or Boulder is only 15-25 minutes! Great location: close to restaurants, shopping, amenities, & transit.